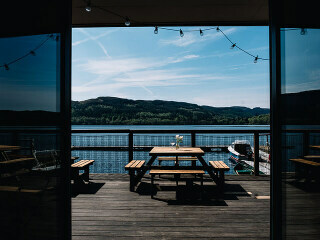 Callander is a single destination venue - base yourself here and you can enjoy everything the Loch Lomond and Trossachs National Park has to offer, whether you're a family, a couple or a group of friends. There's walking for the hardy (and some lovely walks for those that just enjoy a stroll), fishing on the rivers or lochs, historical sightseeing, cycling, bird or wildlife watching - you have so much to choose from. For those slightly less energetic we have a fine array of restaurants and pubs and retail therapy is on offer with Callander's many niche shops, all worth a visit. There are also a range of events providing live music, arts & crafts, film & jazz festivals, workshops and much more. Along with these there are many other attractions in Callander and the surrounding area to keep you entertained during your visit.